The statement read: "As a code we have made it clear to Israel formally and repeatedly that any social media posts or commentary that is in any way disrespectful to people because of their sexuality will result in disciplinary action. In the absence of compelling mitigating factors, it is our intention to terminate his contract." Folau, 30, was reminded of his social media obligations by RA chief executive Raelene Castle last year. There were also threats from sponsors of the Australian national team that they would withdraw support following his social media posts. In this latest incident, a message published on his Instagram account on Wednesday read that "hell awaits" for "drunks, homosexuals, adulterers, liars, fornicators, thieves, atheists, idolators." Folau said on Instagram: "Those that are living in Sin will end up in Hell unless you repent. Jesus Christ loves you and is giving you time to turn away from your sin and come to him." 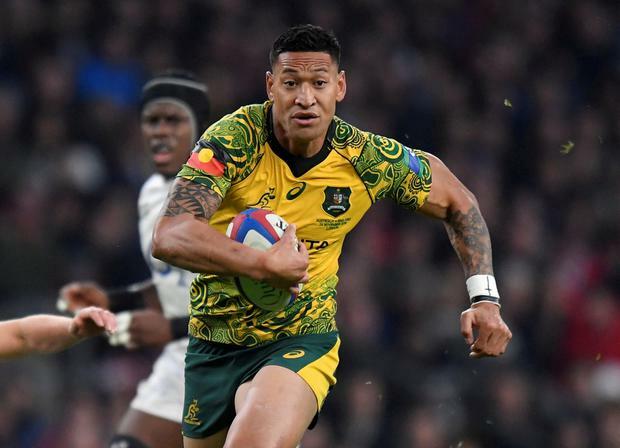 Folau has won 73 caps and would have been a key part of Australia head coach Michael Cheika's World Cup plans this year. Last weekend, he broke the Super Rugby try-scoring record.